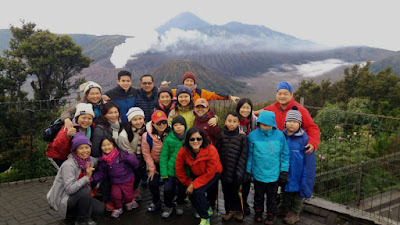 Mount Bromo Tour Midnight known as the most simple trip package durated 1 night 1 days to enjoy Mount Bromo Sunrise tour from highest peak and Crater view. Midnight tour more suitable for visitors which need start from Surabaya or Malang at 10.00 - 11.30 PM (night time) and finish afternoon around 03.00 - 03.30 PM. BROMO JAVA TRAVEL provide special Mount Bromo tour package price 1 night 1 day with private facility for Our costumers satisfaction begin Local English speaking driver, private AC (air conditioned) Car. Our partner will pick you up from your location request at night and take you to Cemoro Lawang, Ngadisari village (Jeep parking lot) and until You are really finish enjoy Mount Bromo tour 1 night 1 day. Finish Enjoy midnight trip to Mount Bromo, Take You back to your location request toward Surabaya, Malang or Banyuwangi and finish midnight tour. If still have more time, You can continue enjoy the most popular waterfall named Madakaripura Waterfall (the most beautiful waterfall in East Java, Indonesia) located 1 hour from Cemoro Lawang, Ngadisari. For detail itinerary and time of Mt Bromo Midnight 1 night 1 day, you can read more below. 22.00 - 00.00 PM (night time), Our driver Will Pick you up using private AC (air conditioned) transportation in your arrival (Surabaya, Malang), then take you to the Jeep parking lot around Cemoro Lawang or Sukapura village for 3 hours driving. Reach the Cemoro Lawang or Sukapura, change your private Car into Private Jeep 4 WD then start visit Panajakan (the highest peak) for 1 hour. Get parking lot on Pananjakan peak, do soft trekking to view point for 10 miutes and waiting for sunrise time at 05.20 AM and enjoy all the view until finish and satisfied. Comeback to your jeep and visit the Crater by stop at sea of sand (parking lot), Then do Mt Bromo trekking for 30 minutes or take the horse riding transportation for 15 minutes. Afterward, climb up through the stairs for amount 250 steps. After get the crater, enjoy your trip until finish, comeback to your jeep and comeback to Jeep parking to have breakfast or directly return to Surabaya airport, Malang or Banyuwangi and finish Mt Bromo Midnight tour. Before You start 1 Night 1 Day Mount Bromo tour, You can bring mountain clothes such as Jacket, Raincoat (if on rainy season), Trekking Shoes, Flashlight, Gloves, Hat and Long Pants. If you are interested to make holiday for Midnight to Mount Bromo, You can visit Our contact to get detail information about Mount Bromo tour package option, and other facilities.